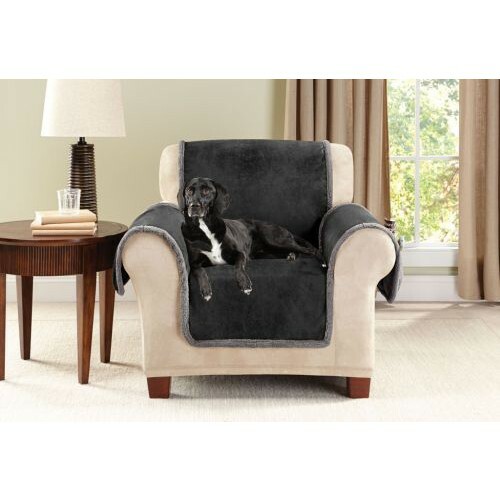 Vintage Leather Furniture Cover, Sure Fit, is a stylish, pet-friendly slipcover designed with the distressed look and soft feel of broken-in leather on one side and incredibly plush sherpa on the other, making this reversible throw a feel good addition to any family home. 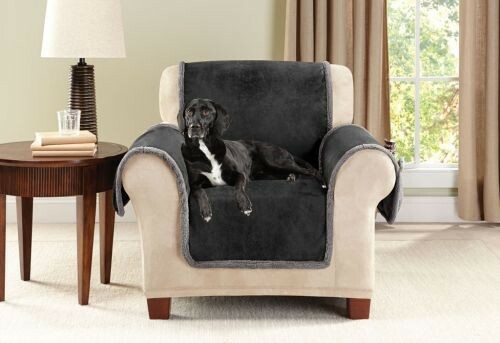 The classic broken-in look and plush feel makes the Vintage Leather Furniture Cover a favorite among two-legged and four-legged family members alike. Vintage Leather Furniture Cover features triple organizer pockets on the arm of both sides, which provide ample room for pet toys, remote controls, eye glasses, magazines and more. Also features a generous 50-inch backdrop to prevent slippage. Reversible Faux Leather-to-Plush Sherpa Design. Triple Organizer Pockets on Each Arm for Easy Storage Access.